Extra deep combination fixture is ideal for high traffic areas. Hands free dispenser reduces paper flow, and provides maximum hygiene. Operates with 4 "D" size alkaline batteries or plug in AC adaptor. 4 alkaline batteries have be independently tested and found to provide 35,000 hand dries. Stainless steel (safety guarded) saw tooth cutting bar. Secured with two tumbler keyed locks. All doors are hinged with full length stainless steel piano hinges. Counterbalanced stainless steel door (20 gauge) provides maximum fire protection, mounted with full length piano hinge. Heavy duty 18 gauge stainless steel door (304, # 4 brushed finish). Corrosion resistant galvanized steel (20 gauge). Universal (non-proprietary) towel dispenser will accept jumbo roll towels max. 8" diameter (2-1/2" reserve roll). Large detection zone senses hand when placed in a natural position under dispenser to deliver a 6-9" length of towel. Towel delivery is quiet and uniform. Automatic air freshener has clean low maintenance design will suit most office and retail installations. Built in LCD clock displays time for easy programming of starting and stopping spray intervals. Set spray start and spray stop to suit your office hours. Spray intervals can range from 1 minute to 60 minutes. Built in counter will display number of sprays. Maintenance: green LED indicates functioning/spraying. Red LED indicates low batteries should be replaced. The recess mounted vending machine line is detailed for architectural applications requiring minimal projection from wall. Door hinged with full length stainless steel piano hinges and secured with two tumbler keyed locks. All units have removable coin box with tumbler lock keyed different from door. Coverall door is all welded stainless steel construction, 20 gauge type 304 No. 4 brushed finish. Recessed wall box of 20 gauge satin coat galvanized. Capacity: 15 no. 4 napkin (11 no. 6), 22 standard tampon tubes. Installation: Provide wall opening of 25-5/8"H (65.4) x 15"W (38.3) x 4"D (10.2). Drill mounting holes as required and secure to wall. For barrier free mounting insure that the coin mechanism handle does not exceed 48" (120 cm) above floor level. The surface mounted vending machine line provides easy flexible mounting on any type of wall material or construction. Door hinged with full length stainless steel piano hinges and secured with two tumbler keyed locks. All units have removable coin box with tumbler lock keyed different from door. Capacity: 15 no. 4 napkin (11 no. 6), 22 standard tampon tubes. Installation: Secure unit to wall through holes in the back of unit with the four mounting screws provided. For barrier free mounting insure that the coin mechanism handle does not exceed 48" (120 cm) above floor level. Janitors Cart Globe Janitor carts have smooth easy to clean surfaces manufactured from high density plastic for extra durability. 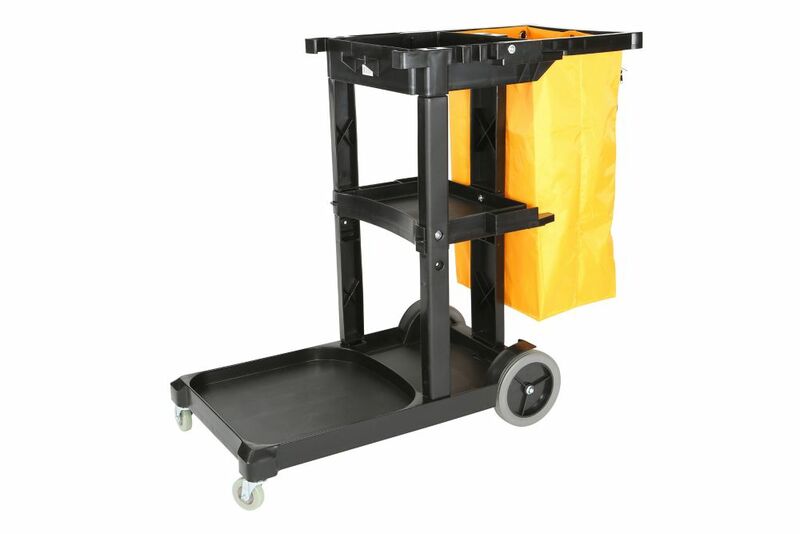 Our Carts are ideal for holding dustpans, floor signs, mop handles, and other necessities. Convenient utility hooks are molded directly on the cart and can accommodate most buckets and wringers in the designated storage area. All carts have non-marking wheels, which allow for easy movement especially in tight areas.